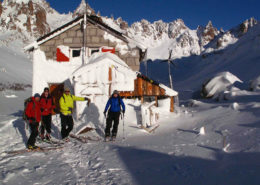 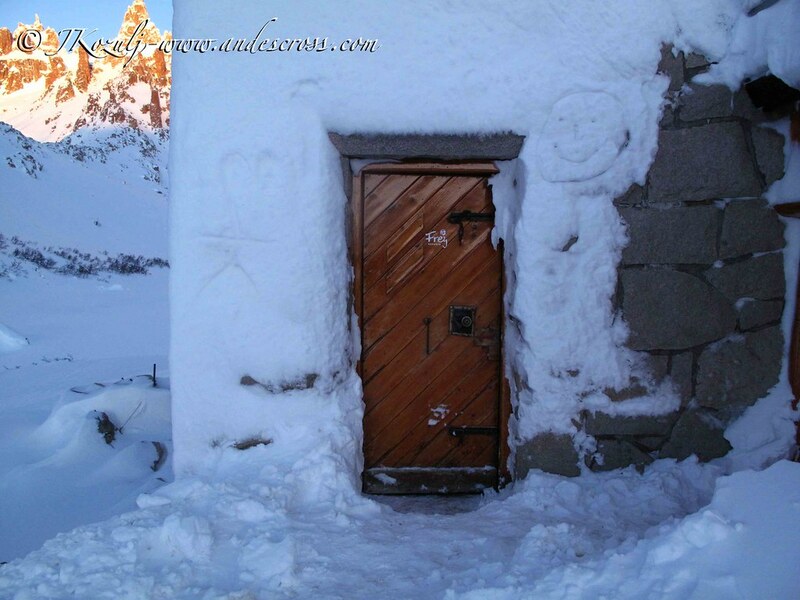 Refugio Frey is renowned as one of the best ski huts in Argentina! 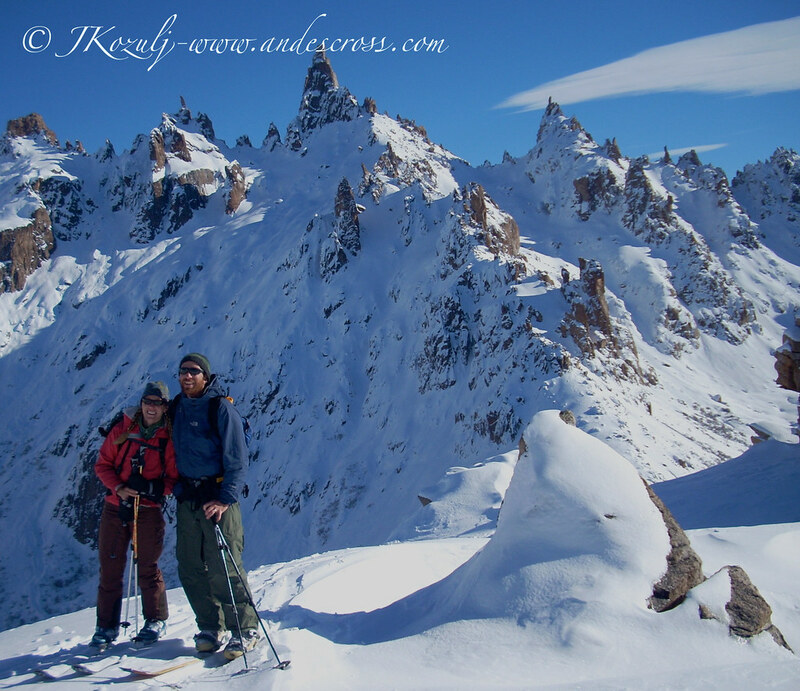 The setting is magical: a cirque of golden granite spires and the couloirs in between the towers come down to merge at a frozen lagoon. 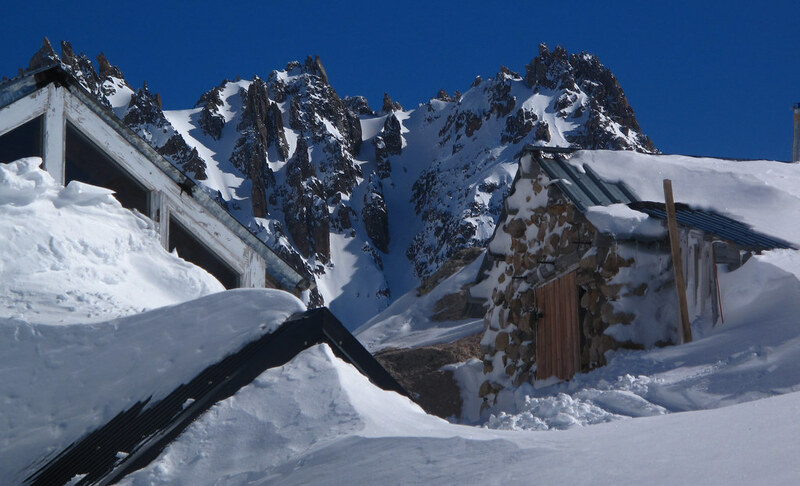 Frey Hut sits beside the lake in the peaceful wilderness of Nahuel Huapi National Park. 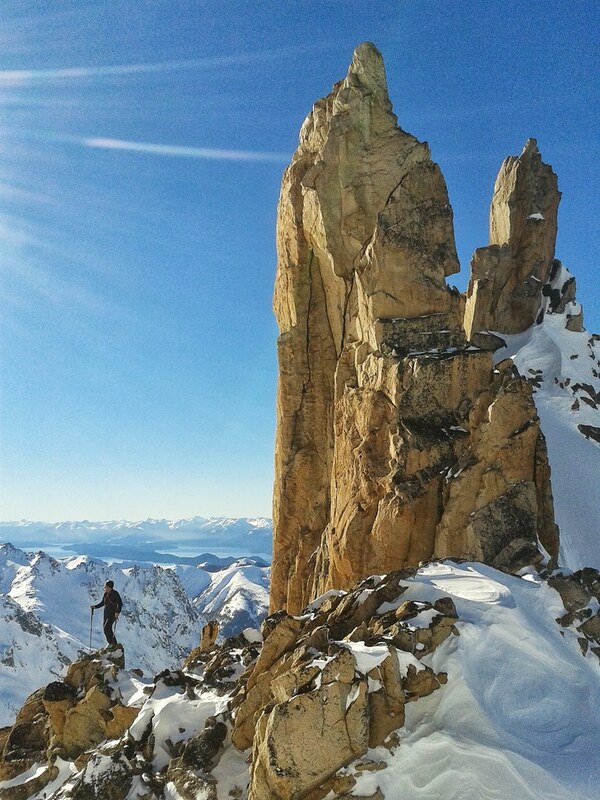 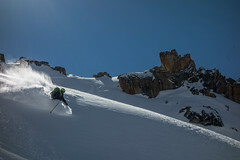 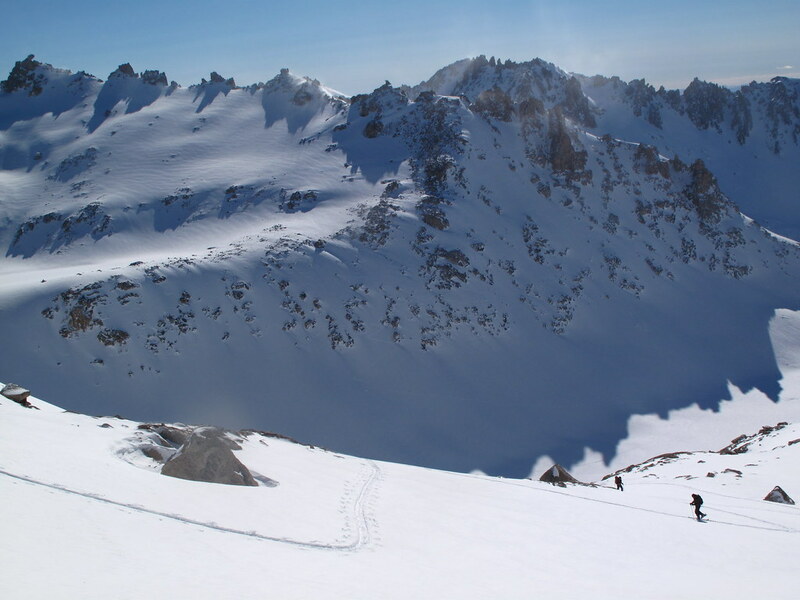 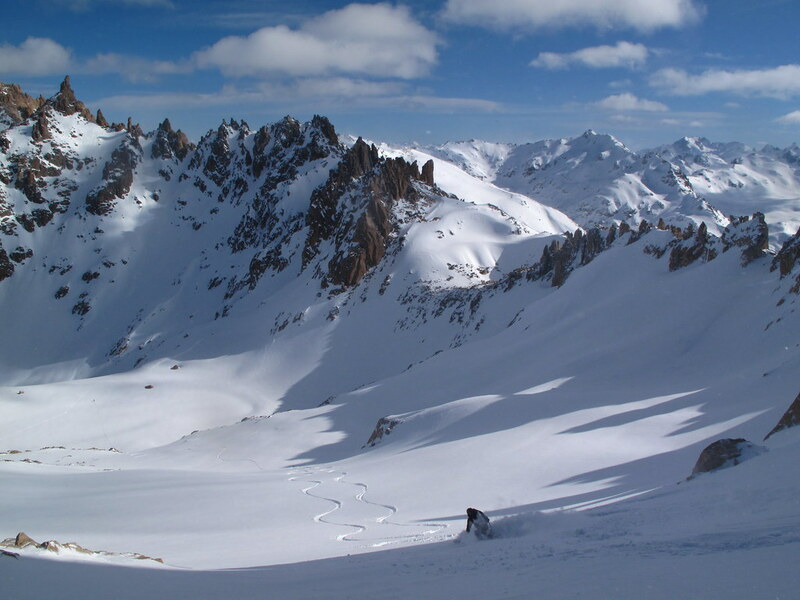 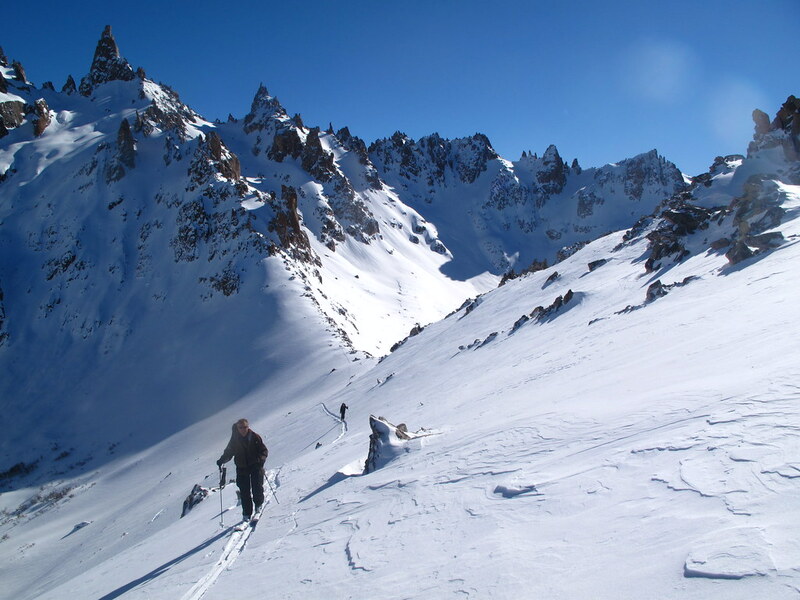 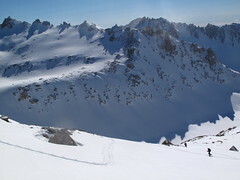 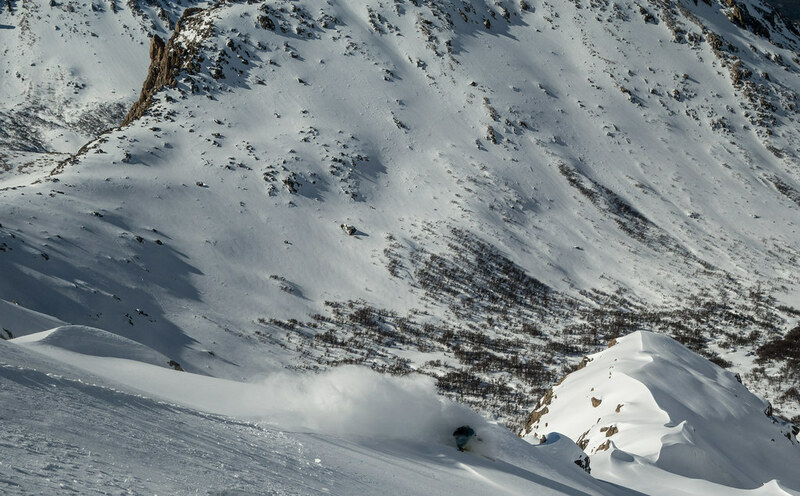 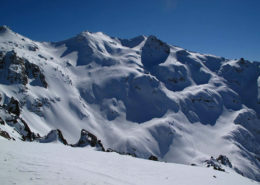 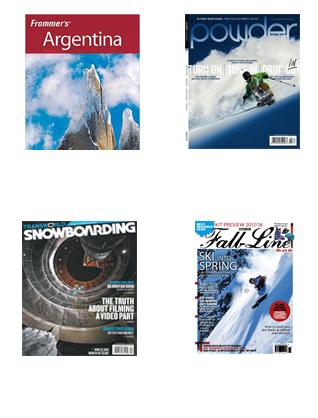 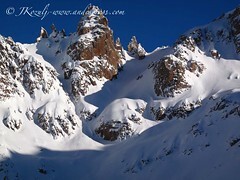 The cirque offers all aspects of 5 star AT terrain for every backcountry skier. Possibilities are endless! 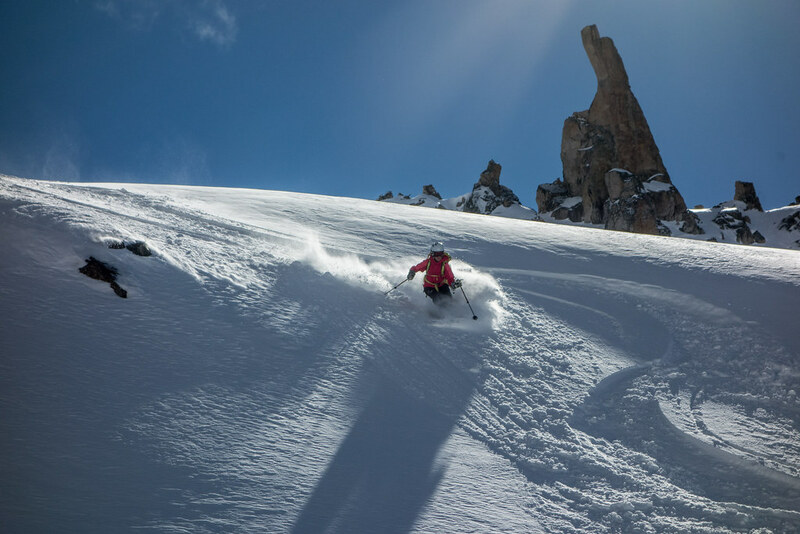 Determined by skiers’ preference and the weather conditions, your mountain guide can show you nice open mellow bowls, steep chutes from 30-50 degrees, intermediate-level chutes, and valleys for nice daily ski tours. 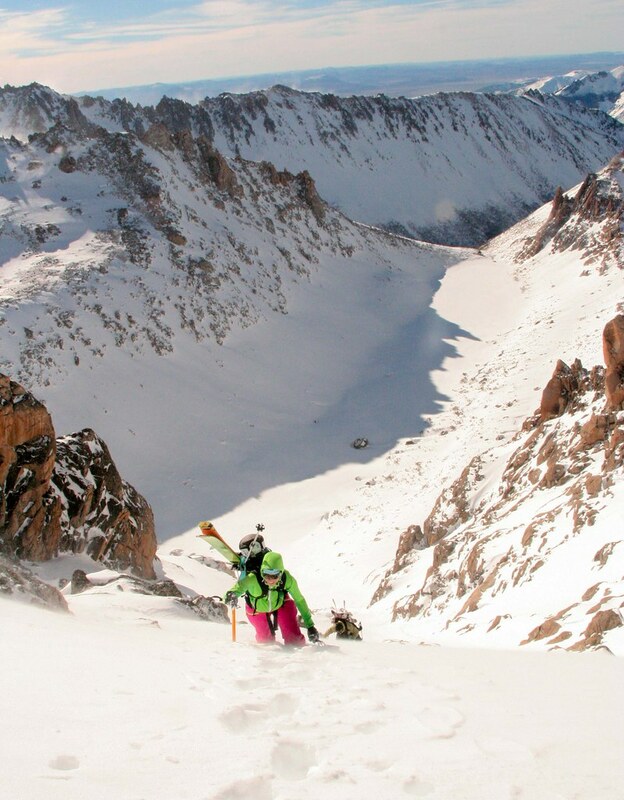 One highlight for advanced backcountry skiers is the Zebra Couloirs which are chutes of about 2000 continuous vertical feet at 30-40 degrees. 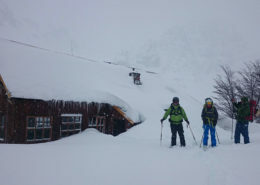 If weather does not cooperate or there is low visibility, there is tree skiing and the cozy hut to come back to. Frey mountain hut ski touring place is pretty much where we grew up and learned to love the mountains. 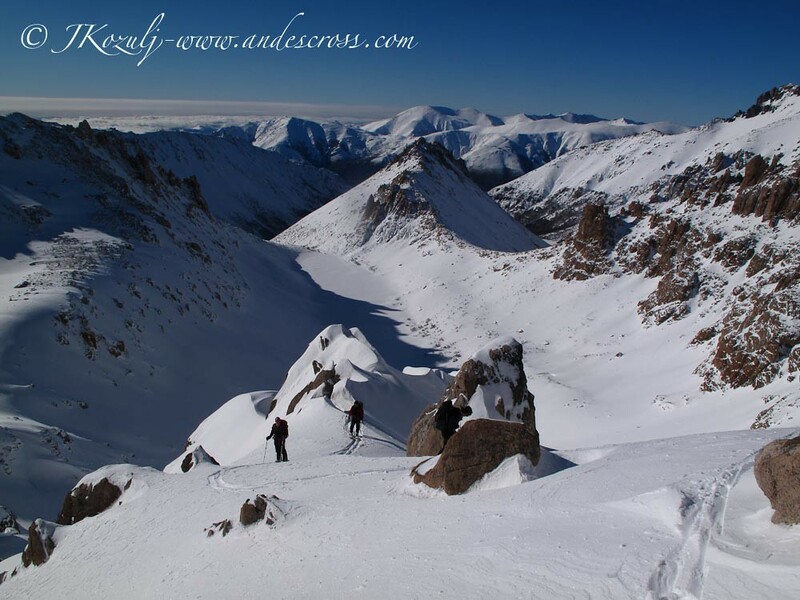 We at Andescross spent most of our teenage years up there; rock climbing the granite towers in the summer and skiing the chutes in between them in the winter. 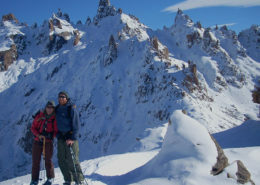 We’ve been sharing great experiences there friends and clients for many years. 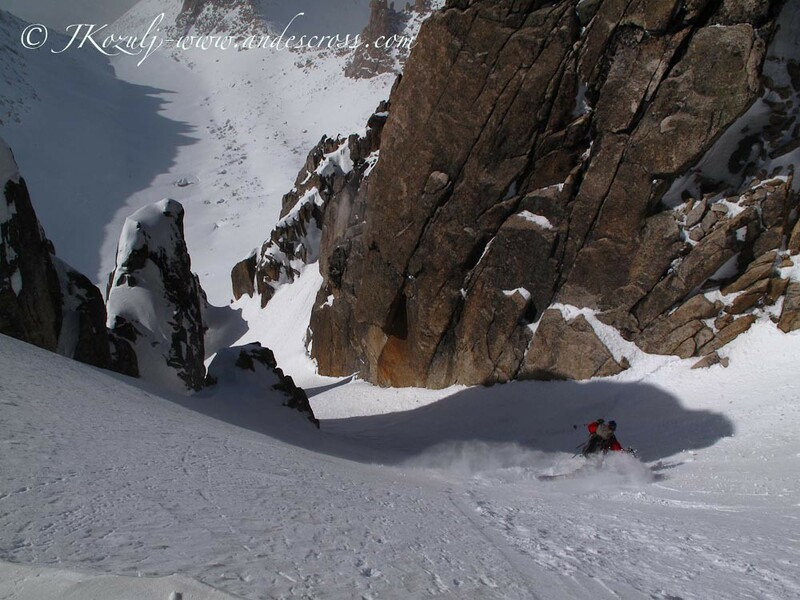 It is a place to fall in love with! 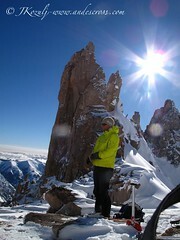 From the Cerro Catedral Ski Resort we will take the Alta Patagonia Lifts to get above tree line quickly. 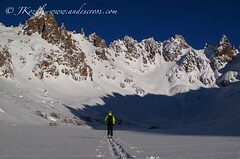 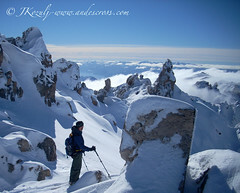 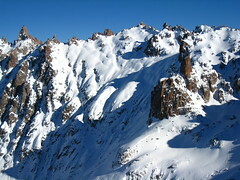 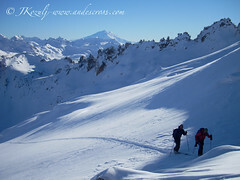 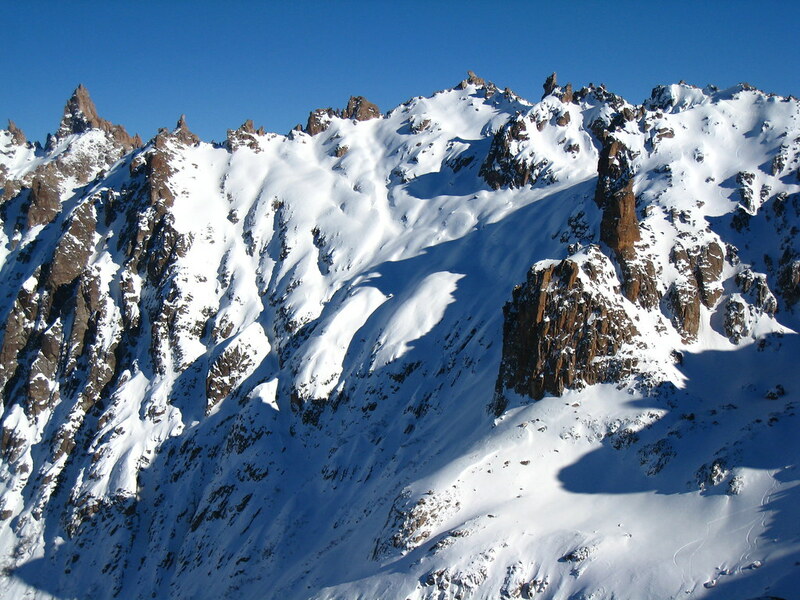 Skis on, and we skin up for less than an hour to the ridge and the border of the Nahuel Huapi National Park. 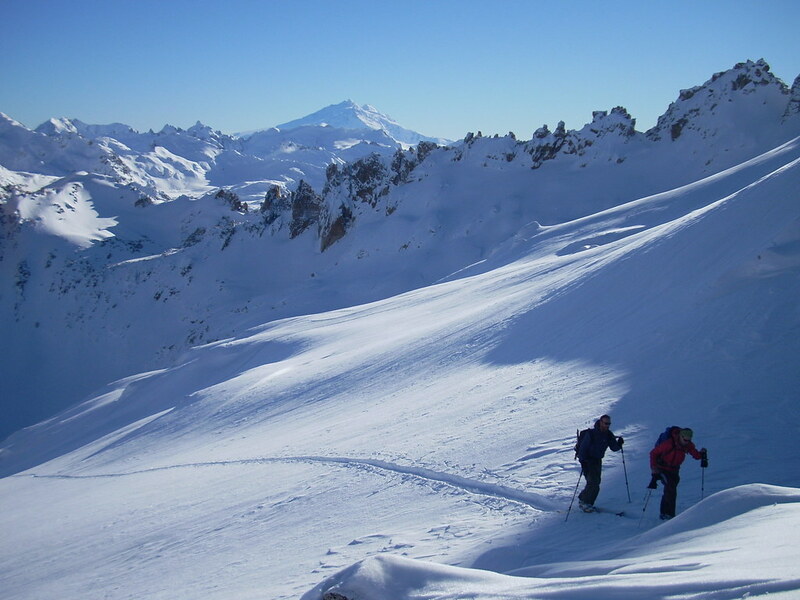 We’ll have excellent views of the Patagonian Lakes District before we drop into the Van Titter Valley, choosing the best aspect according to conditions and snow quality. 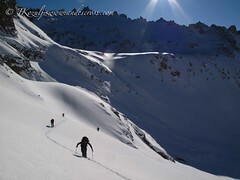 Once in the valley, we’ll skin up to Frey Hut, drop our gear, drink some water, and get a snack. Then we can head out to enjoy the area with a mellow run in the forest, an easy tour to explore, or a nice 40 degree couloir. Night in Frey Hut with homemade pizza, fresh pasta, micro-brewed beer and/or fondue. 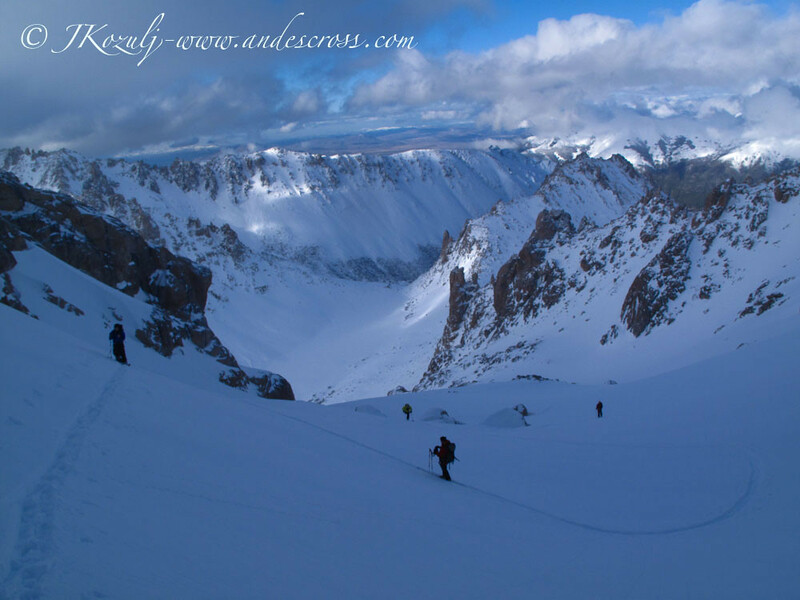 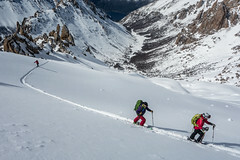 Patagonia ski trip Frey mountain hut ski touring – South AmericaAfter breakfast we get our skis and skins ready, and make our way across the frozen Laguna Toncek looking for the aspect that holds the good snow. 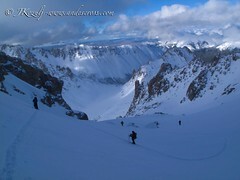 It is easy to find hidden powder snow in the cirque. 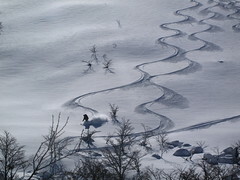 Your ski guide will be able to show you the variety of terrain Frey has to offer for every AT skier to get in a nice long day of fresh tracks. We’ll bring lunch with us so we can eat it while enjoying the views of the Patagonian Andes. Back down to Frey Hut for another homemade dinner. 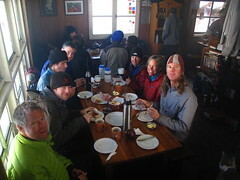 If weather doesn’t cooperate, it is nice and cozy in the hut. Enjoy a cup of tea by the fire while reading a book or chatting with other backcountry skiers who come here from all over the world. 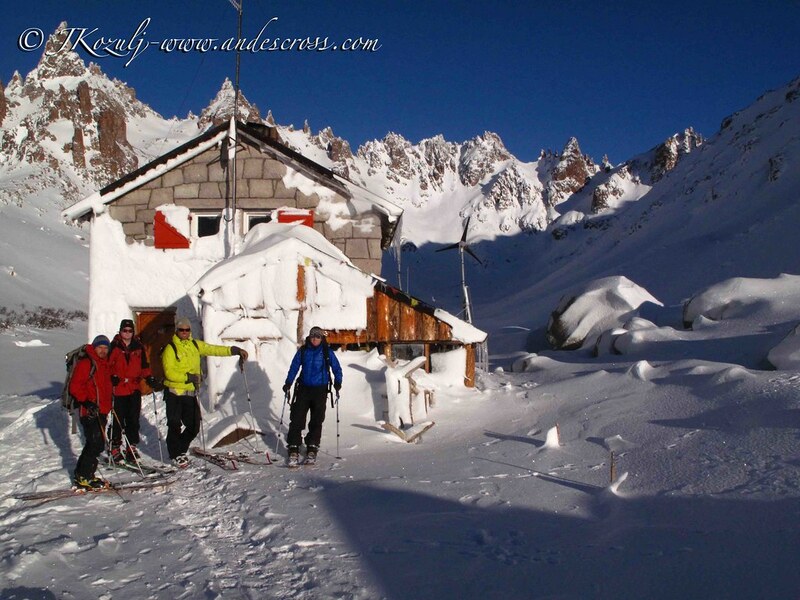 Similar to day 2, ski what we haven’t skied yet according to conditions Night in Frey Hut. After breakfast, we can ski one more run if you’re up to it, and then start skiing and skinning our way back to Villa Catedral. 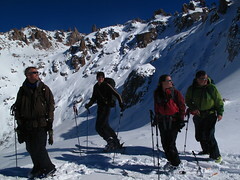 Your mountain guide will drop you off at your lodging in Bariloche.